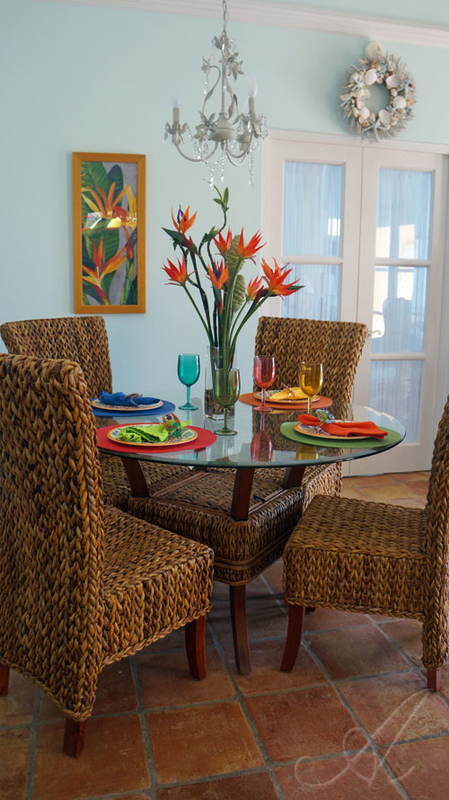 The great room area is upbeat with its colorful Caribbean colors and tone with touches of lovely accents. 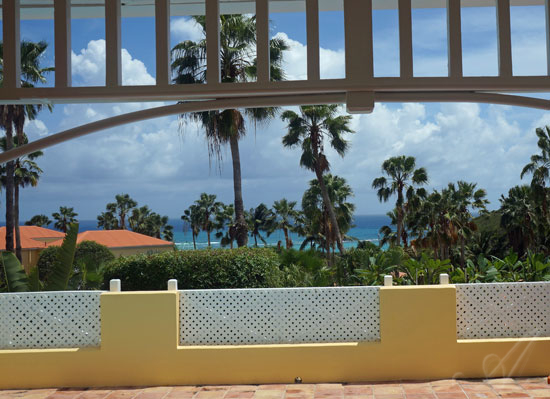 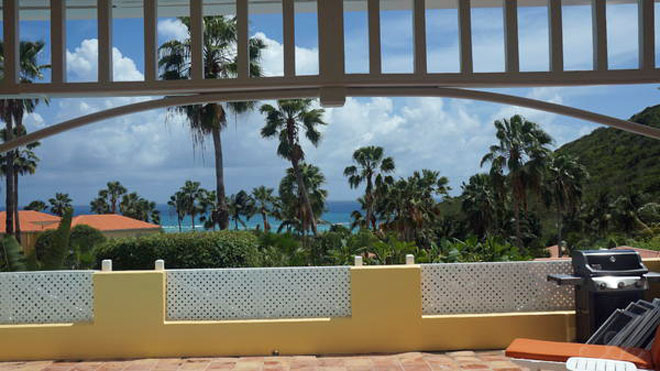 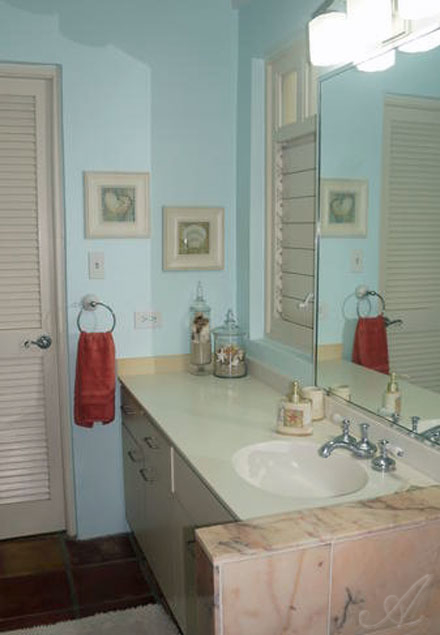 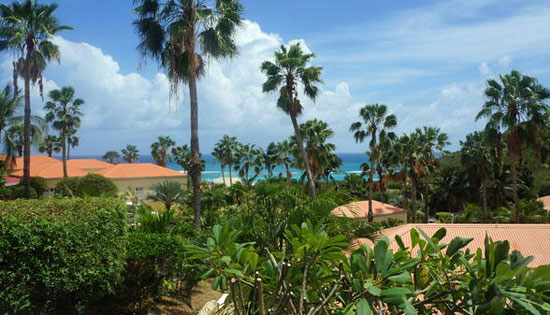 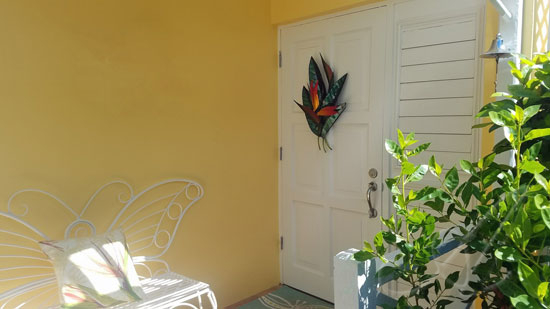 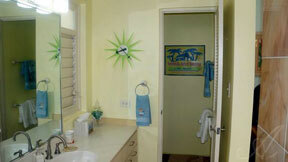 Villa features include cable TV, wireless internet, complete air conditioning. 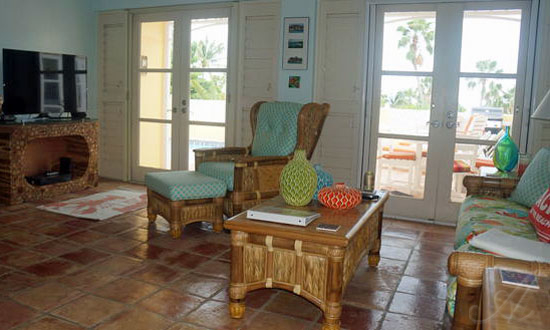 French doors also open out to the private pool area and the 2nd master bedroom suite across the pool deck. 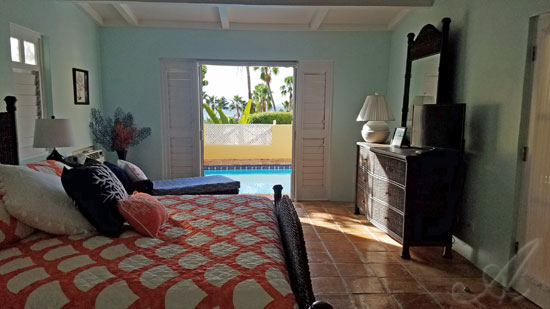 The master bedroom suite features a king bed, ceiling fan, air conditioning, bath ensuite with the signature large marble walk in shower and french doors that open to the pool deck and views.. 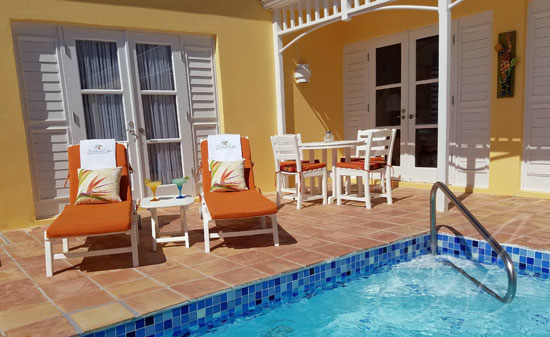 The pool deck is a delight to enjoy both day and night! 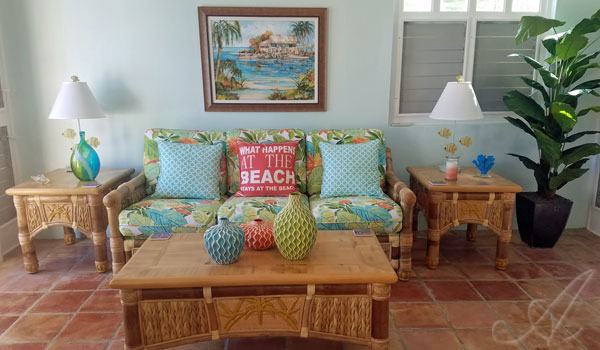 Relax and watch the ever changing water views from the lounges, grab a pool float and float to your hearts content or perhaps plan to have an outdoor meal in island style. 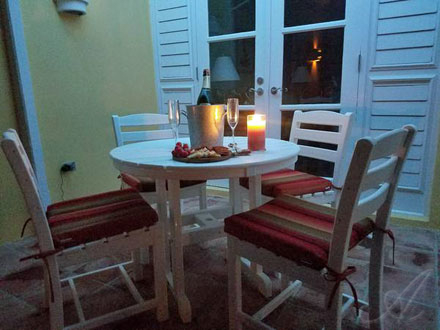 There's a BBQ grill for your pleasure as well. 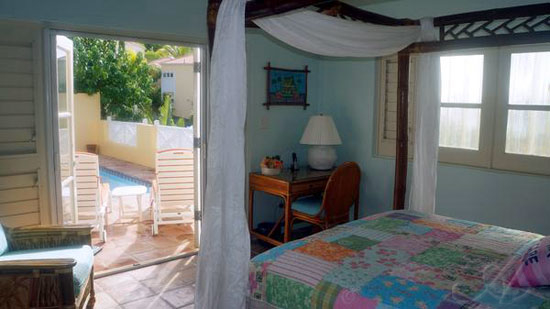 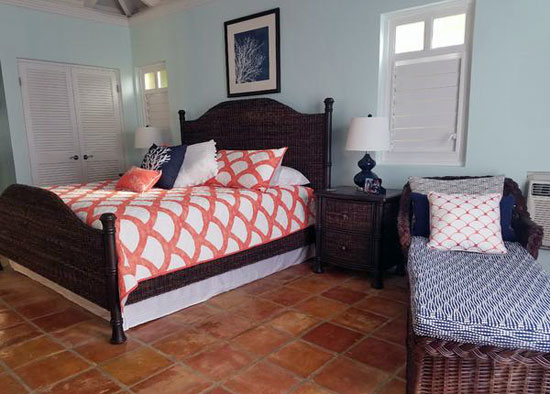 The second master bedroom suite features a 4 poster Queen bed that makes this villa nicely suitable for 2 couples traveling together or for a family with a child or 2 (ages 10 yrs and older) who don't mind sleeping together! 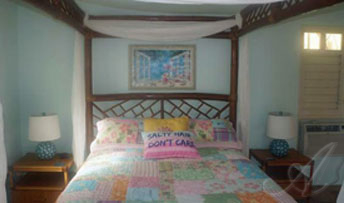 Ceiling fan, air conditioning, TV, private bath with marble walk in shower and french doors open out to the pool deck. 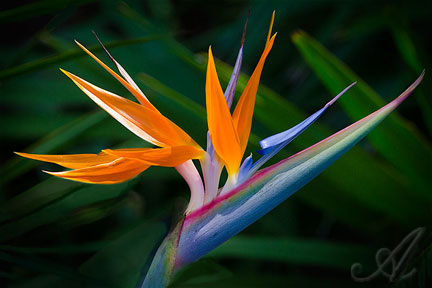 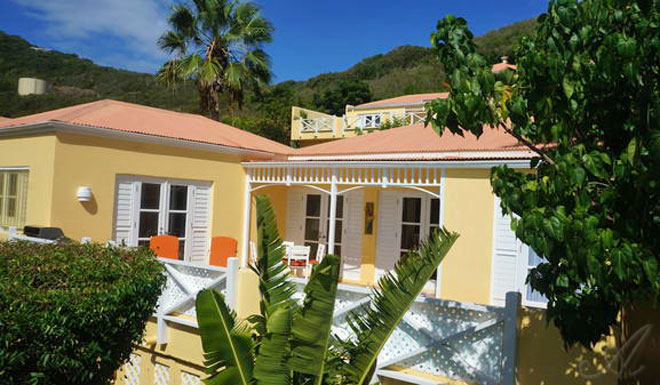 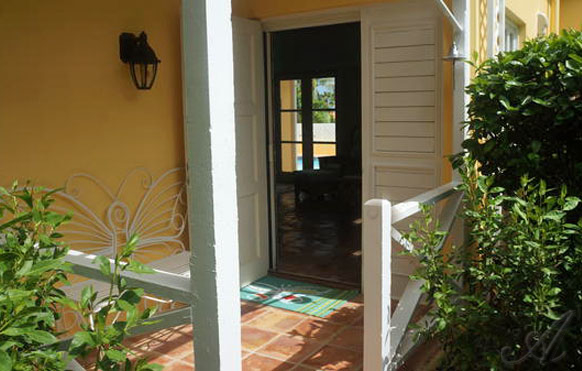 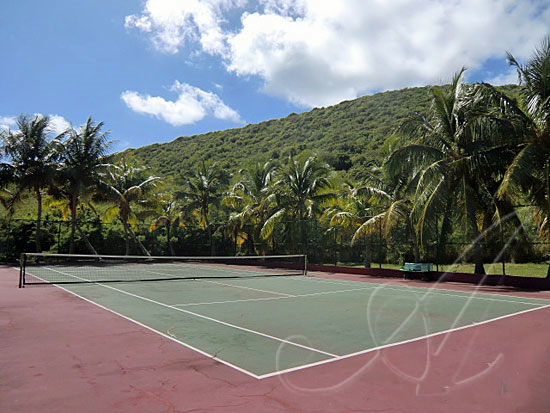 Excellent location to all island activities makes Villa Madeleine a desirable choice. 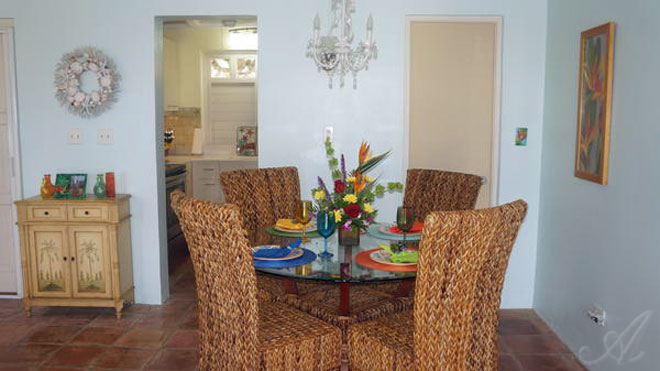 Each villa is in a patio home style with your own patio and private pool located off of the living room area. 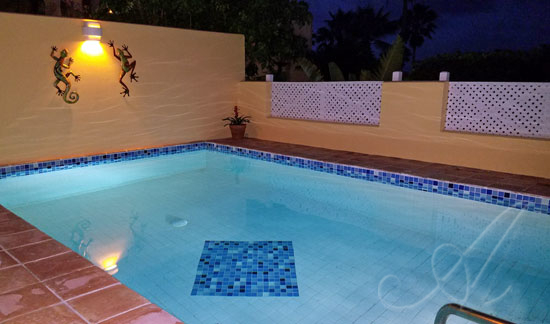 This pool also features a hand railing for easy walking down into the steps.